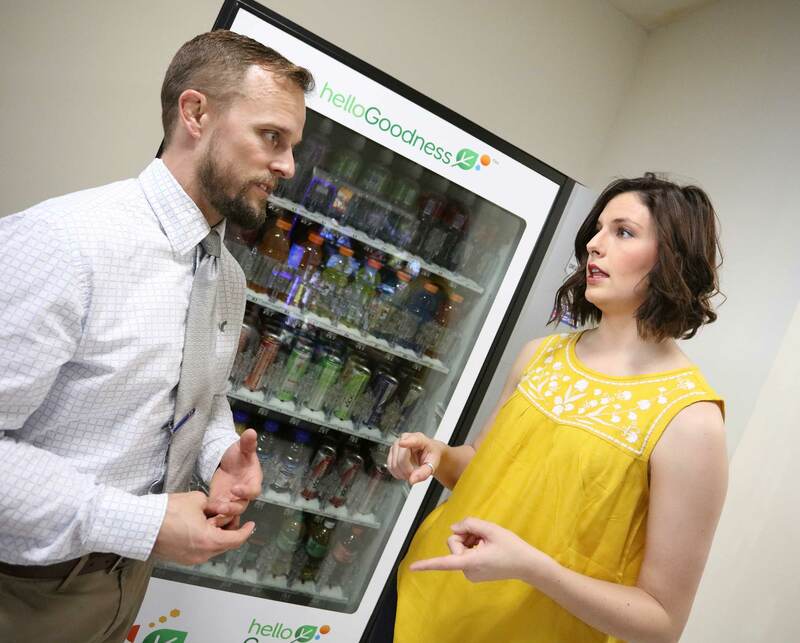 KEARNEY – A University of Nebraska at Kearney graduate student is working to make vending machines on campus healthier. As part of her graduate research project in exercise science, Ali Malmkar of North Platte is collecting data about campus vending machines. Two Rivers Public Health approached UNK about analyzing vending machines on campus to bring them up to a healthier category. Vending machines are categorized by the percentage of healthy options available. When 30 percent of the products meet the standard, they are considered a bronze level vending machine. A collaboration between the Employee Health and Wellness Program, kinesiology and sport sciences faculty, and Malmkar, the project aims to bring vending machines on campus up to the bronze level. Initially, a survey went out asking students and employees how often they use campus vending machines, the interest level of having healthy options in vending machines and what specific healthy products they would like in vending machines. During dead week, students and employees will taste test healthy vending snacks provided by the campus provider, First Choice Vending. “The Employee Wellness Program likes to provide an environment for employees to make healthier choices. We try to make the healthier choice the easy choice,” said Bryce Abbey, assistant professor of kinesiology and sport sciences. Malmkar’s project could also focus on rearranging vending machines to place healthier options at eye level and nutrition education intervention.